Pauline Tourneur received a Master degree in Chemistry from the University of Mons in 2017. She performed her master thesis in the laboratory of Chemistry of Plasma Surface Interactions under the supervision of Prof. Rony Snyders (UMONS) and Dr. Corinne Nouvellon (Materia Nova). She worked on the synthesis of metallic glass thin films by magnetron sputtering. She joined in 2018 the Laboratory of Chemistry of Novel Materials as a PhD student in the group of Prof. Roberto Lazzaroni under the supervision of Prof. Jérôme Cornil, on a project aimed at integrating light-emitting diodes in textiles. 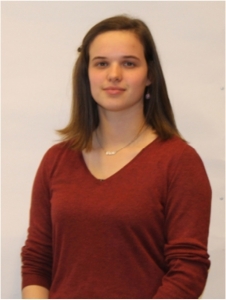 The main goal of her studies is the design of new TADF emitters for OLEDs applications and her work involves a theoretical study by TD-DFT as well as experiments involving the fabrication and characterization of OLED devices.